The young actor Yeo Jin Goo who played an important role in MBC drama The Moon that Embraces the Sun is expected to debut again. 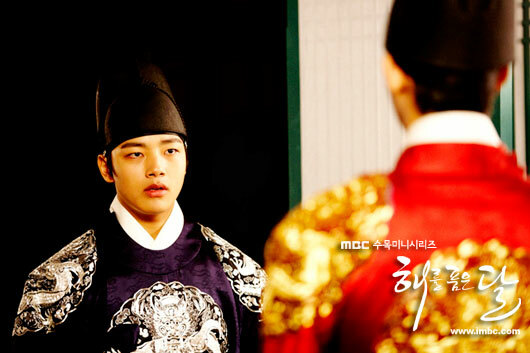 On March 1st, 2012, the official website of The Moon Embracing the Sun published the stills of adult Hwon (Kim Soo Hyung) and childhood Hwon (Yeo Jin Goo) appear together at the same scene, attracting attention. In the photos, both persons show a sincere look, adult Hwon seemingly falls into distress, while the young Hwon gives encouragement to him. Whether Hwon decides to forget about the past has caused a high degree of curiosity from the audience. 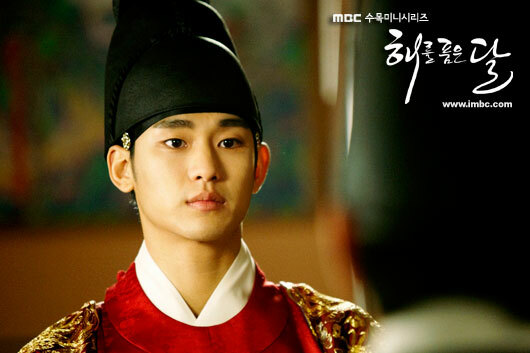 In addition, in the episode 17 of The Moon Embracing the Sun, Hwon confronted Queen Dowager. In the preview for episode 18, Hwon indicates to Queen Dowager that he will investigate things happened in the past, even if it’s consort clan also cannot cover up, hence the plot becomes tense, the sense of expectation of the audience towards the grand final also significantly increased.